Popular cartoon characters Tom and Jerry and Johnny Quest team up for an original animated action-adventure movie. 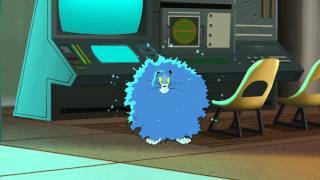 Johnny's dad, Dr. Benton Quest has a special device that can solve the worlds energy problems but he's been kidnapped by Dr. Zin's evil cat army. The gang must launch a dangerous spy mission to save the day.